FGF this week started off with just 2 products, but the last minute haul at the 2018 Cycle Show has fleshed it out into another bonanza of bike booty (not the ‘B’s again!). Before we get to the squawking, have a giggle at Hannah’s expense: she is off on her first overnight bivvy. Staring off into the middle distance, adventurer styleee. 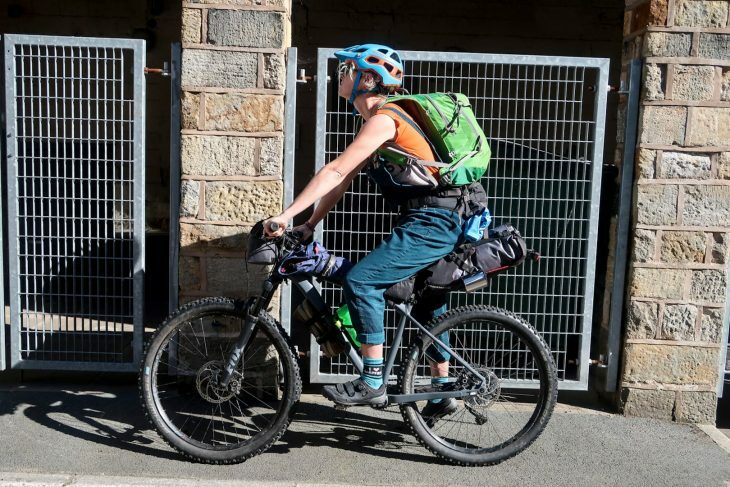 To be clear, she is not actually riding very far with all that kit – this is just so she can negotiate the train/train/cross-London/train logistics to get to the start. Where there will be a van to carry most of this. However, it’s not going to be all jolly, because she is sleeping in a bivvy bag. To be precise, a borrowed bivvy bag and a borrowed sleeping bag…luckily Chipps hasn’t used it that much so it shouldn’t be too whiffy. Anyway, she’s quite sure it’ll all be fine and on Saturday morning she’ll wake up looking like this. A large portion of our haul from the 2018 Cycle Show came from the people at Peaty’s and first up we have some of the company’s tubeless sealant. Now, you will have seen this before, but this is actually a new formula which is thinner than the original sealant and is said to greatly improve the initial set-up. We also learnt that the ‘glitter’ inside the sealant is actually made up of Eucalyptus starch and is completely biodegradable. 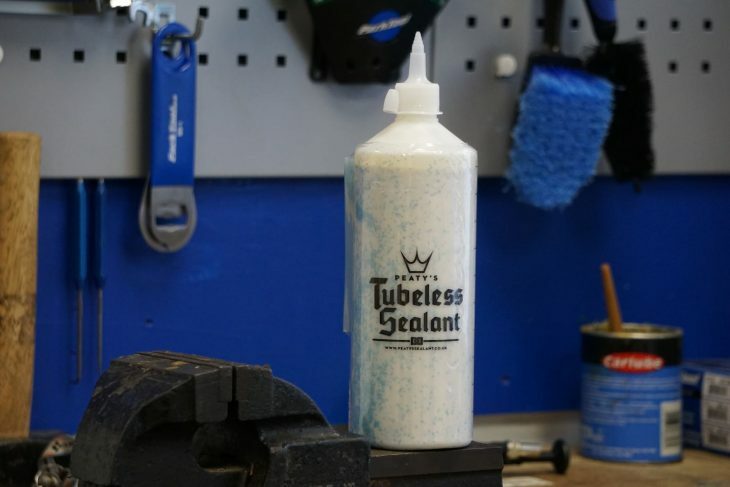 We’ll be testing this new sealant soon so watch out for our impressions. Another biodegradable Peaty’s product is the brands’ drivetrain degreaser. 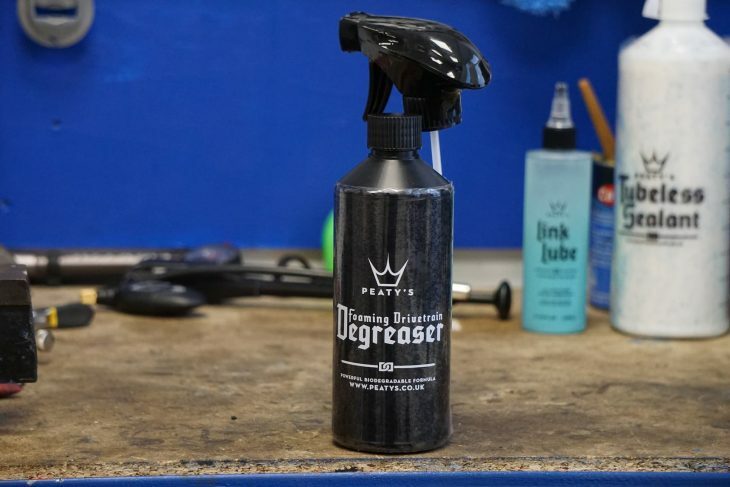 The chaps at Peaty’s pointed out that this degreaser isn’t a solvent so it won’t damage hub or shock seals, plus it won’t make its way into sealed components and strip away lubrication like more aggressive degreasers might. What really has Andi excited though is the foaming nozzle that promises foam as thick as shaving foam! Cannot wait to test this. 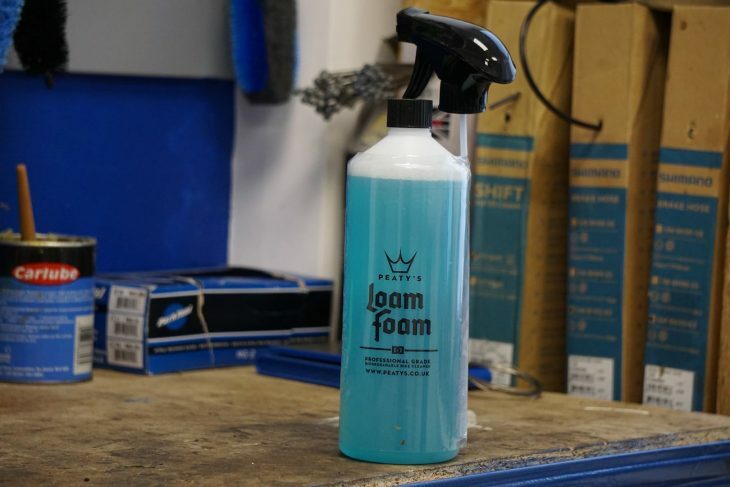 It feels like every rider and their dog is making a bike cleaner these days, but like the rest of Peaty’s products the Loam Foam cleaner promises to be a little different. While the solution looks rather watery to our untrained eyes, there is actually a gelling agent in the cleaner so that it will stick to your bike better meaning the cleaning magic can take hold quicker, and for longer. After cleaning and degreasing your bike with Peaty products you’re going to want to lube it so you may as well go Peaty’s again hey? 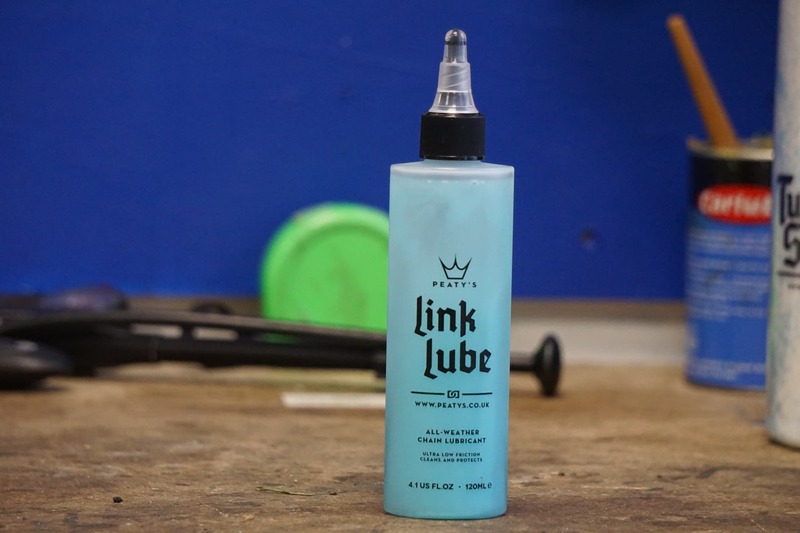 The Link Lube is a two-part lubricant which if left to settle will separate into a clear water repelling lube and blue wax, so you’ll need to give it a good shake before applying. 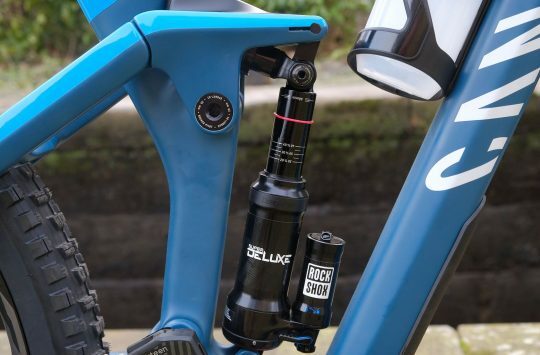 Peaty’s also claims this is an all weather lube and recommend that excess lube is removed for riding in dry conditions but left in place for those super wet rides. Peaty’s Valves with a lifetime warranty. 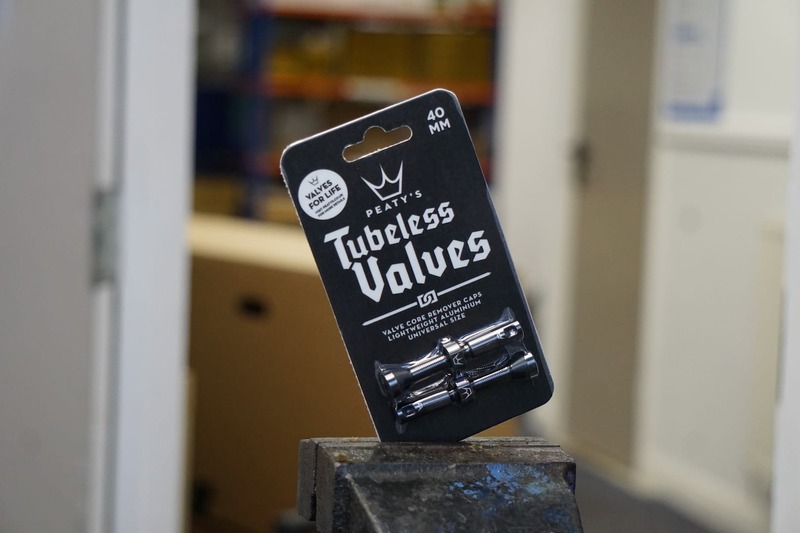 Universal tubeless valves that have a softer rubber seal for better, well, sealing. Peaty’s offer a lifetime replacement warranty on their valves too, so if you manage to snap one or damage it in some way they’ll replace them for FREE. Goodyear Newton enduro tyres on test. 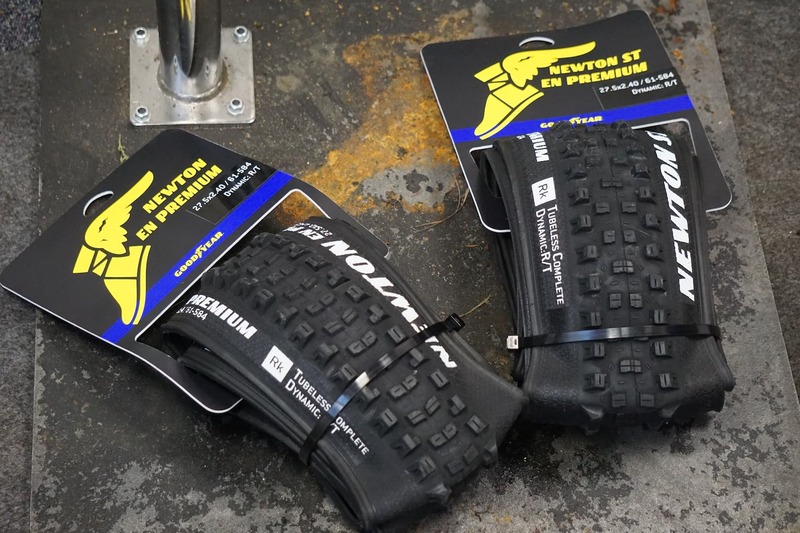 Goodyear branded tyres for mountain bikes!? Yup, we’ve seen them at various shows, and yesterday at the Cycle Show we managed to bag a couple of pairs. These are the 27.5 x 2.4 Newton ST EN Premium tyres in both front and rear variants, and we also have a pair of 29ers to test too. Watch out for a review on these in the next few weeks. 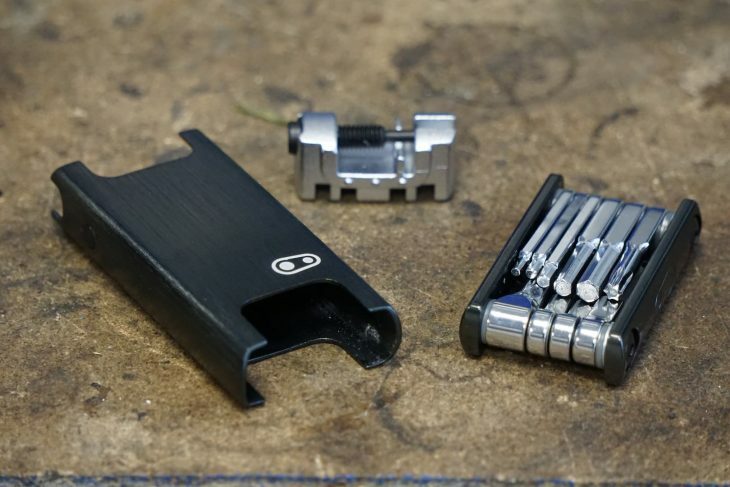 The f15 from Crankbrothers with a ton of tools but more importantly a magnetic case and bottle opener! The f15 trail tool from CrankBrothers weighs only 164g and contains most of the tools you’ll need for a trailside fix all securely held in a magnetic case. The trail tool includes a 2, 2.5, 3, 4, 5, 6, 8mm Allen keys, T25 torx tools, Philips screwdriver, flathead screwdriver, chain tool compatible with 8, 9, 10, 11, and 12-speed chains, three spoke wrenches and a bottle opener! 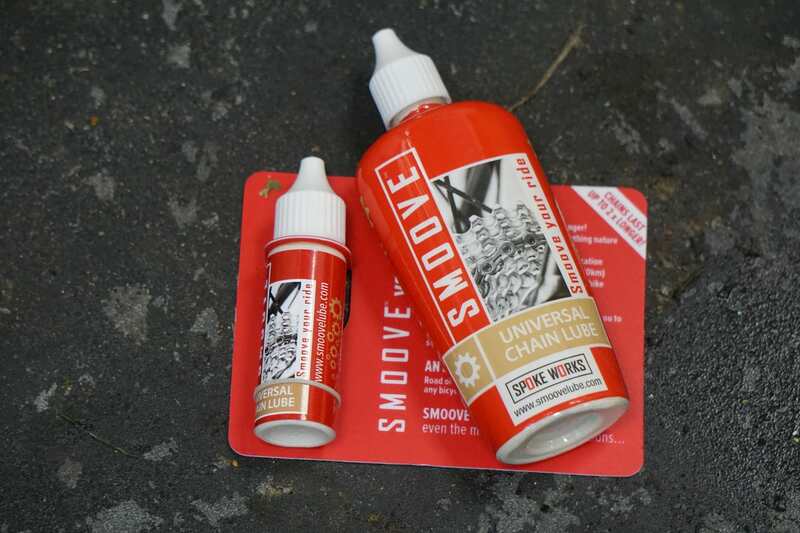 We actually tested Smoove lube back February and found that it’s a great chain lubricant especially for muddy, wet rides, so this sample has arrived just in time. Smoove claims that its lube lasts up to twice as long as other lubes and will is specially developed for wet and dry conditions, plus it’s biodegradable too. For all you Geordi LaForge fans, the future is here! We’re all a bit mind blown by this. So much tech. So much future. 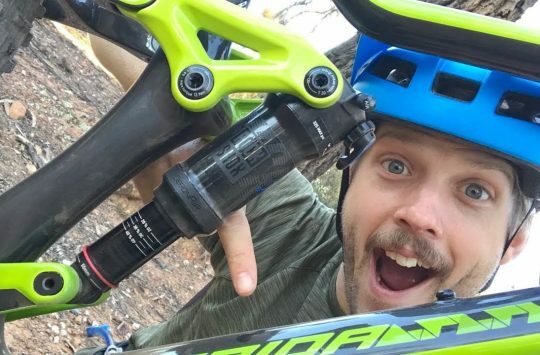 Freeing up your bars for essentials like bags, lights and well…you won’t need a GoPro or a bike computer any more. 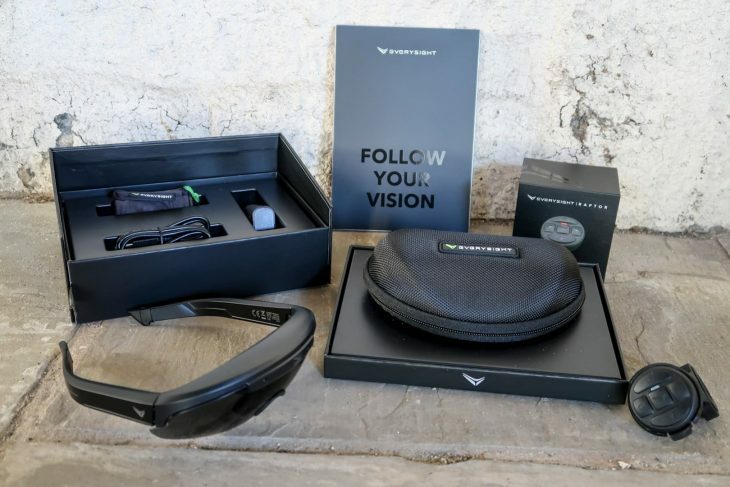 These glasses will tell you all the data you need to know without having to look down at your bike computer. Not only do they free up your bars, but they free up your eyes, so they can focus on looking forwards. As you look forwards, you’ll be able to see real time information such as navigation, speed, heart rate and power data. On top of that, they’ll record HD video, play music to you, and help you answer your phone. We know! It’s like the future happened! 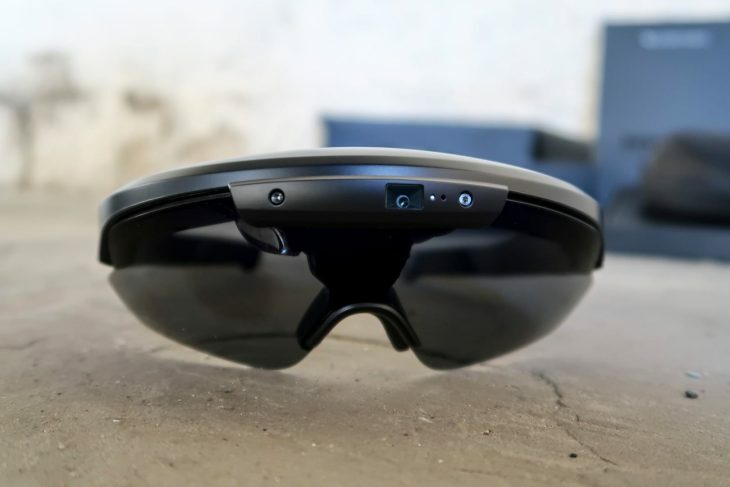 Of course, some of you may have seen the Terminator and have worries about how things are going to turn out, but honestly, while these have been developed as a result of a spin off from a defence contractor, we know of no plans to add laser eyes. Apologies to those who are now disappointed. But even without the laser eyes, they’ll make you look really cool. Never arrive at a race with one shoe again. Keep your shoes together, neat and tidy and not spreading mud all over your car, with this shoe bag. The mesh front means your shoes can breathe instead of festering inside a condensation filled bag, and another pocket at the rear is handy for spare socks, laces or even inner soles. Right, that’s your lot. 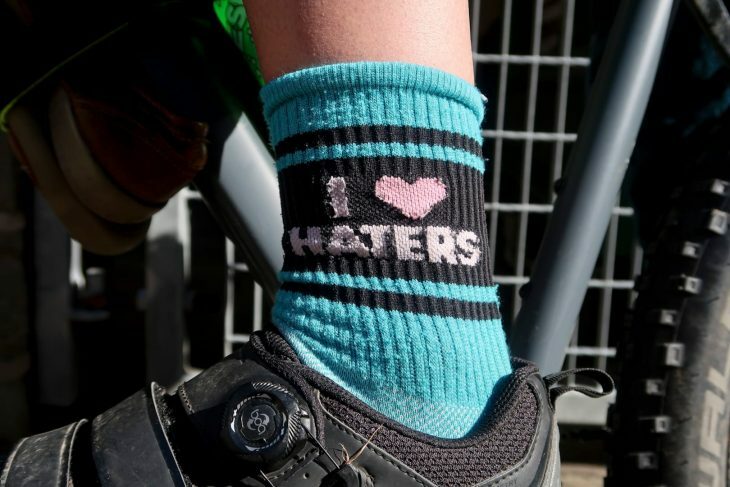 For those of you that are feeling the need to squawk and squeak and post comments below, Hannah has already donned her special comments-section-reading socks and pedalled off into the distance. Quite slowly. That bike and luggage is not light. Be she is travelling, travelling, travelling, looking for something, what can it be? If that’s too floaty and gentle for you, may we recommend you check out the 8 Metal Acts of Interbike for something a little more raucous. re: glasses. “they’ll make you look really cool” – no. No they really, really don’t. Take them off immediately. Also, 40 quid for a shoe bag? Christ. Is that a slab of bacon velcro’d to Hannah’s downtube? Probably the most hideous glasses you have had. i am honoured Andi that you chose Peggy Gou. So so proud. Even Stevie Wonder wouldn’t wear those glasses! Who knew that the Peters and Lee look would ever come back? Just……..wow! Words are genuinely failing me with those glasses………. That is the most over-priced FGF ever. 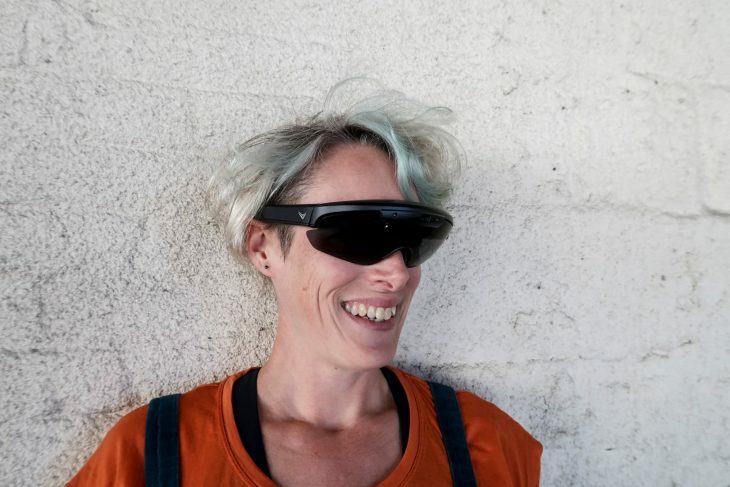 How does the navigation work on those glasses? Flashing arrows showing turns or what? In theory I think using having trip info built into glasses could be useful although looking at those be a long way to go in terms of something I would want to wear/carry/pay for. The price for that shoe bag is quite impressive as well. Would look at some of the diving brands such as Lomo. Got a not bad big mesh bag from them which means various wet things (especially kayaking gear) doesn’t end up to minging if it stays there for more than a couple of hours. 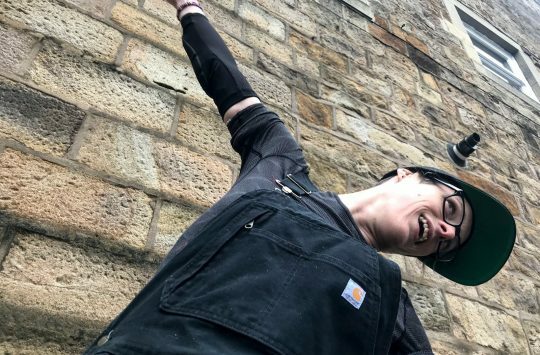 Haha I saw that ridiculously staged Emily Batty instagram. I reckon you def need to replicate it!! I need a pair of those socks!